The handheld line-up of Asus has never contained more than two actual models. 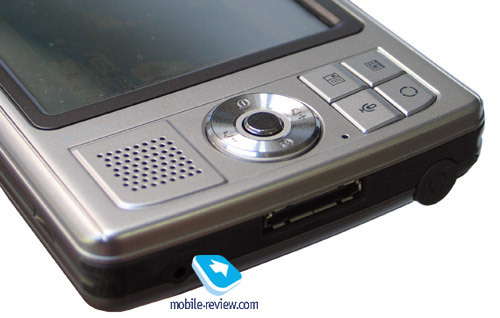 The experience with the high-end handheld turned a failure, the Asus model with the VGA LCD (MyPal A730/A730W) brought less success than expected. Then the company switched the focus to GPS, which is still a most prospective direction on the market. 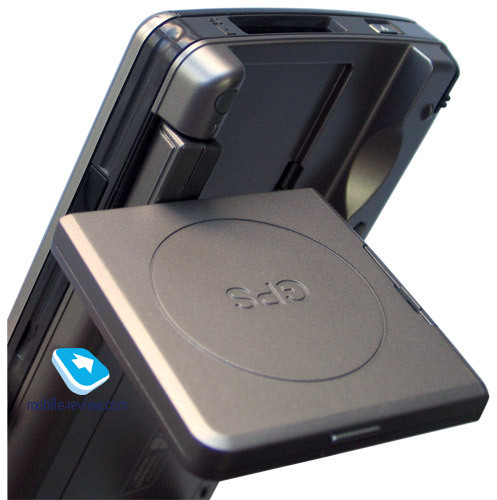 Asus MyPal A636 and the junior modification Asus MyPal A632 were positioned as navigation handhelds. They were completely adapted for car navigation: landscape screen orientation, a car kit (car cradle, choke charging) and an integrated GPS-receiver. The model surprised us with its long battery life. There isn’t any competing model to break or come close to this unprecedented battery life record. However this handheld hasn’t become the bestseller, because of a relatively high price and big size. It was tuned to the old SiRF Star II chip generation, which required an external antenna, thus the developers had little chance to make the device compact, the task was impossible. They only achieved to hide the antenna inside the device. 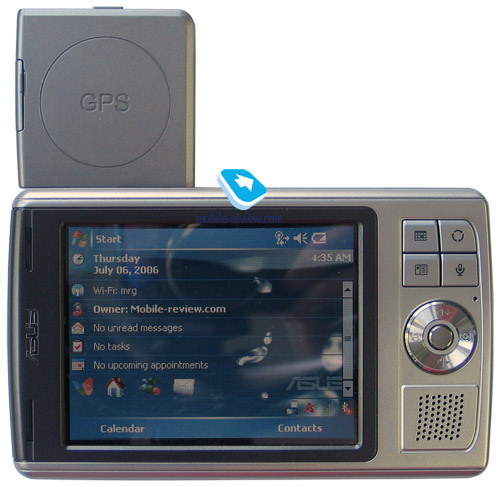 The navigation handheld by Asus enjoyed a portion of success, the fact ensured the appearance of updated modifications in future to extend the life cycle of the model till the brand new model emerged. 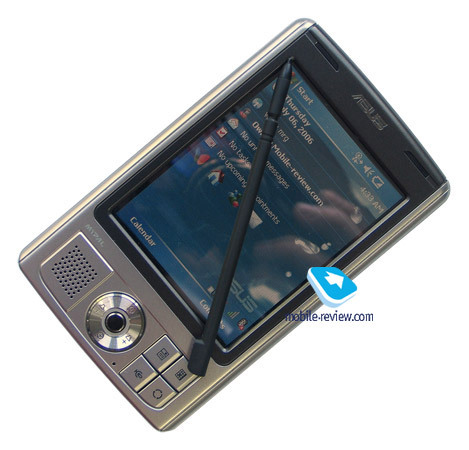 At first there was a “cosmetic” modification Asus MyPal A636N, which featured updated wireless interfaces. 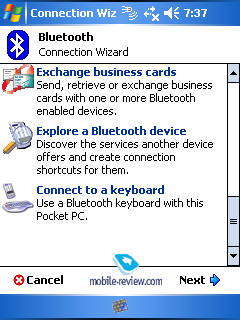 Bluetooth 1.2 module was replaced with Bluetooth 2.0+EDR, and IEEE 802.11b with IEEE 802.11b/g. The final user didn’t see great improvements, the important thing was that the model was new. Asus A639, which we have in out test laboratory today, looks much more like a real update, however old features are still visible. Now let’s deal with the new changes of the handheld. The sales package contains a cradle, which is quite ordinary and doesn’t have anything special. 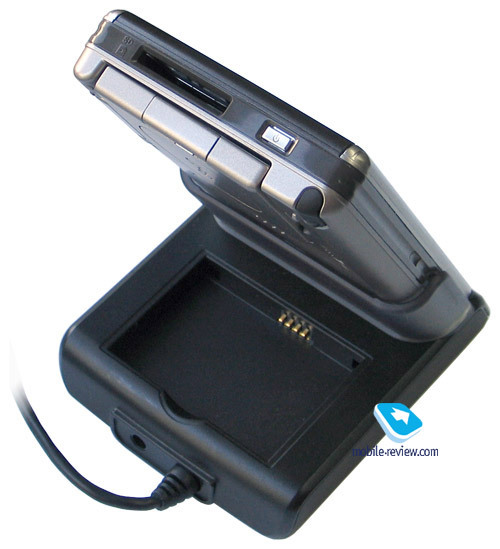 I’d just mark a definite advantage – it is possible to charge an additional battery and the PDA simultaneously. Well, there is nothing left to tell about the cradle. Design has not serious, but noticeable changes. Control elements under the screen do no longer have circle style (speaker, navi-button, group of buttons), they got more strict forms. The screen framing doesn’t have hairless metal any longer, which was the peculiarity of Asus A636. There is nothing tragic about it, hairless is rather a decoration thing than the important design element. In all, we have refreshed design, a good one, however one can easily notice old design traces. Basic software and the set of additional programs weren’t changed. AKU 2.2 update package is installed above Windows Mobile 5.0. 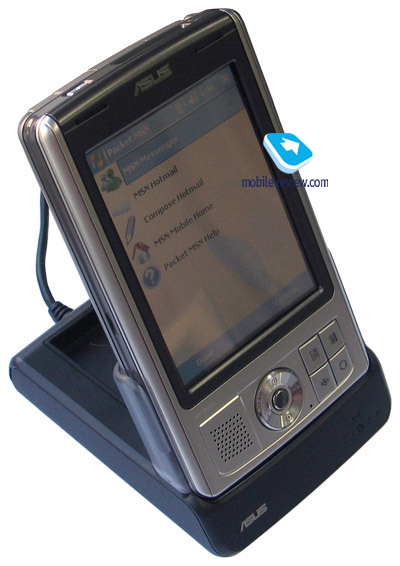 Taking into account that Asus A639 is a handheld PC, not a communicator, the user won’t notice real difference (you’ll hardly buy Asus A639 to use Microsoft Push-Mail). Naturally Asus A639 comes with renewed wireless adapters – Bluetooth 2.0+EDR and IEEE 802.11 b/g. Nominally they increase the maximum data transfer speed. To my mind, “old” speeds are quite sufficient to cope with the most tasks. Remember, this is a handheld PC, with the tasks different from its desktop mate. However, if you plan to download to your PDA megabytes of music and video, higher data transfer speed will turn to be a great advantage. 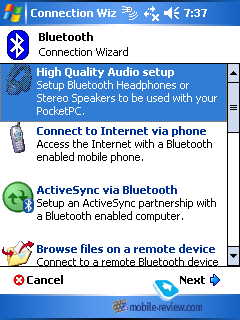 Bluetooth functionality hasn’t changed compared to the base model. We’ve come close to the main change in the model – built-in gigabyte of flash-memory, the company specially highlighted the fact. You can download the navigation map into the memory, so not to launch it from the disk. Following the price cut for memory manufacturers will equip main devices with large internal memory. To compare, a 1GB SD card costs $18. 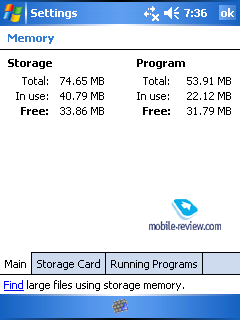 No doubt, large memory size onboard is a nice feature, but not a decisive factor to buy the device. 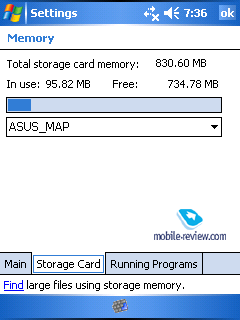 If you bought Asus A636, it wouldn’t be a great financial loss to get a 2-4 GB SD card. 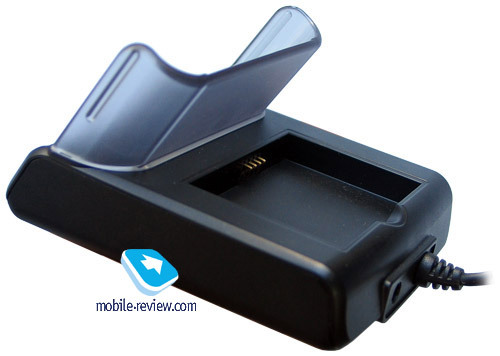 If something is missing in this short review, you can find it in the review of Asus A636. The hardware of Asus A639 is almost identical to the old model. 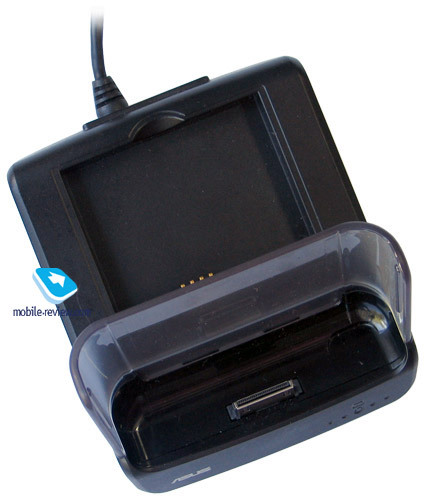 In result we get the restyling of the MyPal supplied with the cradle and 1GB of flash ROM. If you are the owner of Asus A636, there is no sense to replace it with the new A639. 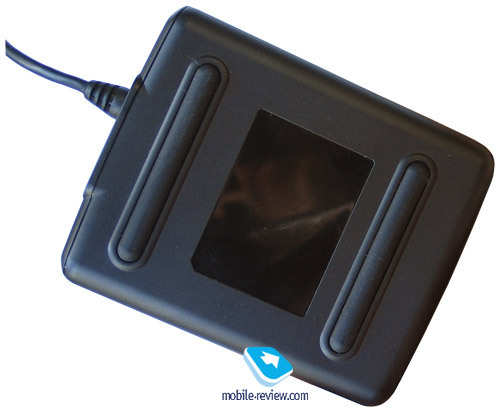 However new users, who need a navigation PDA to be used mainly in the car, can choose the A639. For the alternative, I’d note Fujitsu Siemens LOOX N520 (more compact, shorter battery life, no Bluetooth), the Mio A201 (weaker features for the same price), Qtek G100 (more compact, lightweight, but unstable GPS work).